Description: The IEEE Boston Photonics Society and IEEE Women in Engineering are delighted to invite you to participate in a Women in Photonics Networking event at the Boston University Photonics Center, on Tuesday, March 5th at 6:30PM. This panel discussion features speakers from industry and government who will talk about their technical careers and offer career advice and strategies for women working in photonics today. Dinner will be provided and there will be a discussion / networking session after the panel. Come out, network, and learn useful strategies on how to succeed in your career in photonics! All are welcome. The event is free but registration is required. Please visit our web page at https://goo.gl/forms/Rr63z4BZcrikteHO2 for more information and to register. Dr. Katherine Hales is currently the 'Optical Microscopy Technology Center' Lab Head for Pfizer Kendall Square. 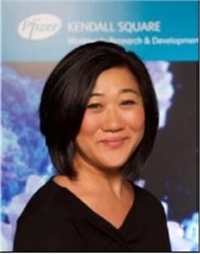 She directs the application of advanced optical imaging techniques, from macroscopic to super-resolutions, to support deep mechanistic biological studies to better understand molecular targets and structures involved in human diseased conditions. The state-of-the-art imaging center is used to support pre-clinical studies performed by the Pfizer Worldwide Research, Development, and Medical’s Research Units across therapeutic areas. She has over 15+ years of research experience in the area of optical microscopy with extensive experience working across disciplines, including chemistry and cell biology. Raji Shankar is a senior member of the technical staff at the Charles Stark Draper Laboratory, Inc., in Cambridge, Massachusetts. After earning her Ph.D. in engineering sciences from Harvard University in 2013, she worked for three years as a research scientist at Schlumberger-Doll Research, a research lab of the oilfield services giant Schlumberger. 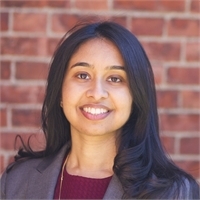 Since early 2018, Raji has been a staff scientist in the Quantum Technologies and Applied Physics group at Draper, a non-profit research and development organization focusing on national security, space exploration, health care and energy. Emily Peterson works in the Active Optical Systems group at MIT Lincoln Lab, designing building and operating novel lidar systems. 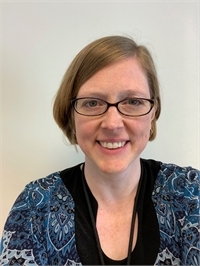 She has a PhD in AMO physics from the University of Michigan, with a specialty in ultrafast lasers and pump-probe measurements of ionization processes. This developed into a postdoc at Argonne National Lab's APS synchrotron creating X-ray probe movies of optically pumped samples. She then worked in industry R&D at Osram-Sylvania lighting for several years using her background with spectroscopy and plasmas. With this varied experience, Emily is looking forward to discussing pros and cons across the spectrum between academia and industry.